KEF's award-winning box speakers are a popular choice among audiophiles around the world. 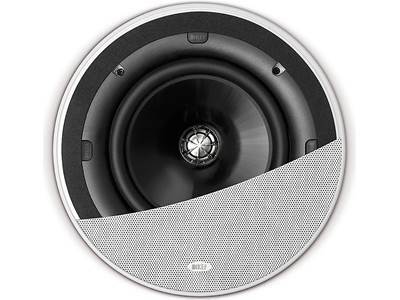 KEF's award-winning box speakers are a popular choice among audiophiles around the world. But the British hi-fi company also makes a line of discreet "custom installation" speakers that offer excellent sound. The Ci160QR is one of the most affordable models in their in-ceiling lineup, but uses some of the same technologies found in KEF's traditional speakers. 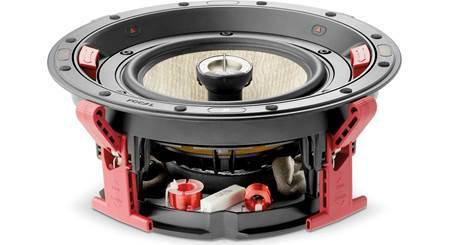 The Ci160QR features KEF's patented Uni-Q® driver technology, which places the tweeter at the center of the woofer. This concentrically arranged positioning creates a wide "sweet spot," providing great sound over a large area of your room. 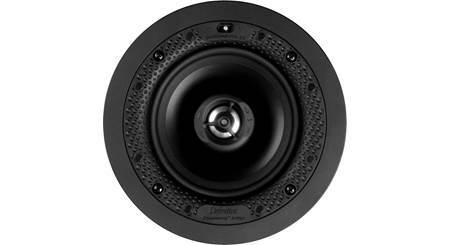 This speaker is also tonally matched with KEF's traditional box speakers, like the acclaimed LS50, so you can integrate a pair of the Ci160QRs into a KEF home theater or multi-room music system with confidence. The Ci160QR includes a low-profile grille that you can paint to match your room's décor. Plus it's magnetic, so attaching it is a breeze. If this is a do-it-yourself install, check out my guide to installing in-ceiling speakers, along with our selection of in-wall speaker wire. 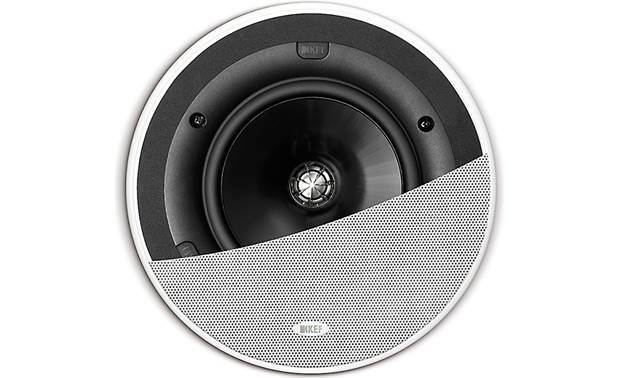 Overview: The KEF Ci160QR is a 2-way in-ceiling speaker incorporating the same technologies found in KEF's traditional speakers, offering exceptional quality at an affordable price. Uni-Q: The Ci160QR uses KEF's patented Uni-Q driver array which places the tweeter in the acoustic center of the mid/bass driver cone so that they both act as a single source that disperses the sound widely and evenly over a large area. 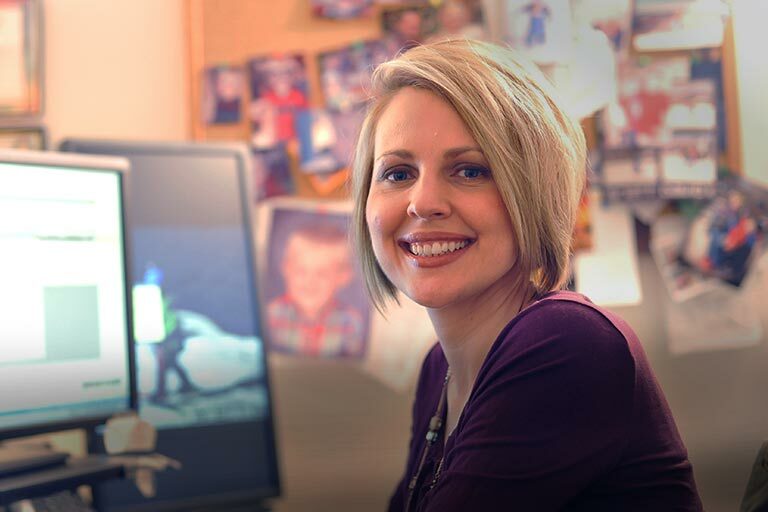 This allows more freedom in placement by eliminating the "sweet spot" restrictions of conventional speakers. 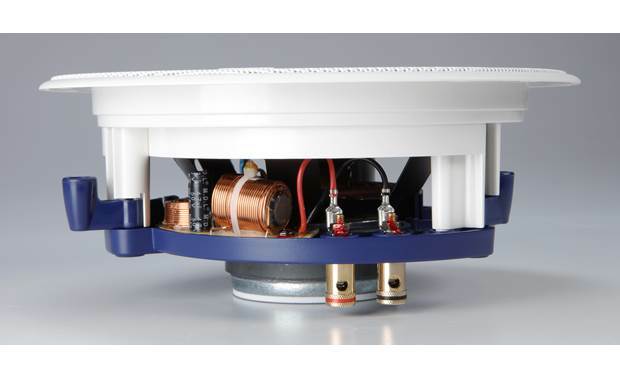 Tangerine Waveguide: The KEF in-ceiling speaker features their unique Tangerine Waveguide placed on top of the tweeter. 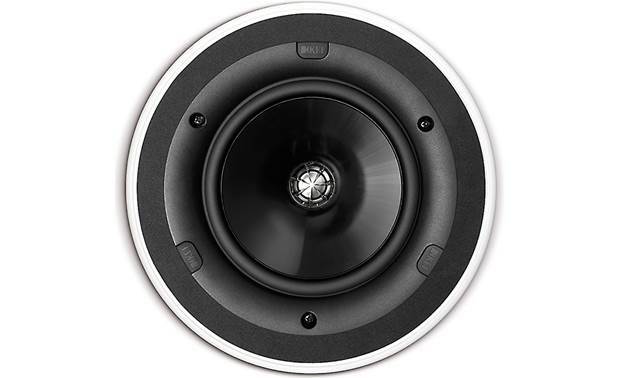 This enhances the already exceptionally wide dispersion characteristics as well as adding protection for the tweeter. UTB: The Ci160QR utilizes KEF's discreet Ultra Thin Bezel (UTB) design that offers the slimmest possible visible rim around the speaker, giving you more freedom to position the speaker where you please. 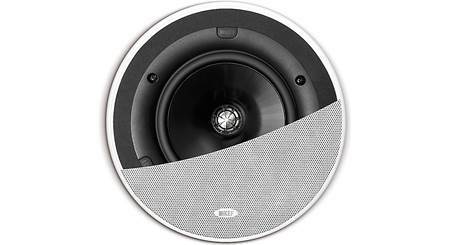 This design gives the speaker less than 1/4" of height above the mounting surface, including the grill. Magnetic Grills: The Ci160QR uses a magnetically mounted grill. 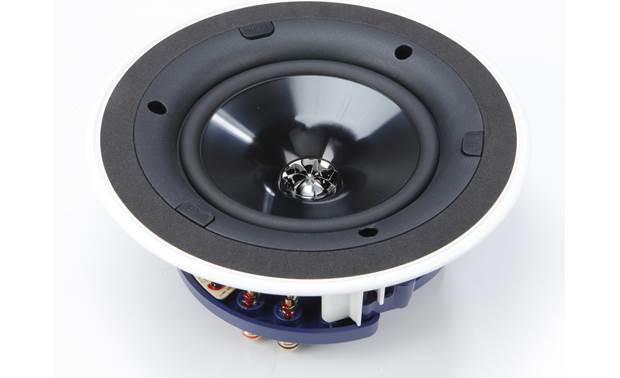 A magnetic rim around the edge of the speaker allows the grill to easily be placed and removed without any tools while offering a very secure mount. 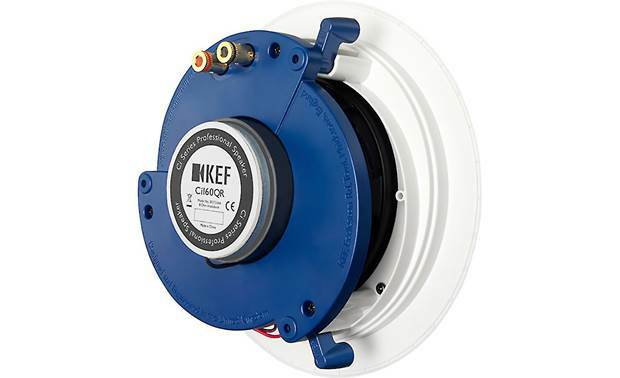 Marine-Grade Construction: All KEF Ci series speakers are built "marine-grade" with grills that are plated and powder-coated by a proprietary process. Other special marine-grade materials are used such as moisture-resistant fittings and UV protected plastics. The Ci160QR carries an IP64 certification, allowing it to withstand harsh, humid, and salty environments. This design allows the speaker to be used in locations such as bathrooms, pool areas, or near the ocean. 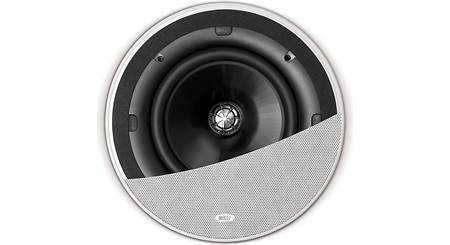 Installation: The KEF speaker includes 3 integrated mounting arms. These allow the speaker to be locked into place by simply tightening the 3 Philips-head screws after placing speaker in the opening. As the screws are tightened, the arms will swing outward and press against the backside of the drywall or mounting surface. The screws remain attached to the mounting arms, even when fully loosened, preventing them from falling out and making for an easier installation. Terminals: Two spring-posts are provided for attaching speaker wire and can accommodate 16 -14 AWG wire. 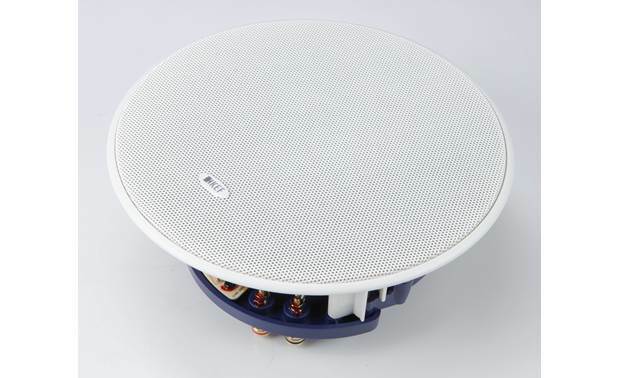 Searches related to the KEF Ci160QR In-ceiling speaker.